Back in August of last year, cruiserweight champ Marco Huck, defending the WBO crown he won way back in 2009, went to war with unbeaten Polish hard man Kryzsztof Glowacki in his American debut. To the surprise of his fans, Huck was stopped in dramatic fashion in the 11th-round – but not before a great fight, which featured some incredible two-way action, was fought. Huck, who was searching for his place in history that August night in Newark – as the cruiserweight champion with the most successful defences in the division’s life time – fell short in losing for just the third time in his 11-year pro career. But now, coming off a brutal February stoppage win over four-fight rival Ola Afolabi (who Huck stopped due to a severe eye injury on the part of the now retired Afolabi, after their previous three fights had all been close decision battles) Huck is ready to go to war with Glowacki again. Glowacki, 25-0(16) will make the first defence of his WBO belt against former IBF cruiserweight king (and fellow stoppage winner over Huck) Steve Cunningham on April 16th in New York. That could very well be a tough first defence for the Polish southpaw who is coming off an injury-enforced layoff (his elbow and wrist were both problematic but are now said to be fine) but assuming Glowacki can get past Cunningham, now a veteran at age 39, a return with Huck could happen in the future. Speaking with RingTV.com, Huck said he lost the first fight to Glowacki due to “not performing the way I should that night,” but that he can, when he’s right, “beat everybody in the world.” Huck, a true warrior who has been one of the most consistently exciting and hard working fighters in the game for the past few years, is still only 31, and he wants a chance at revenge. 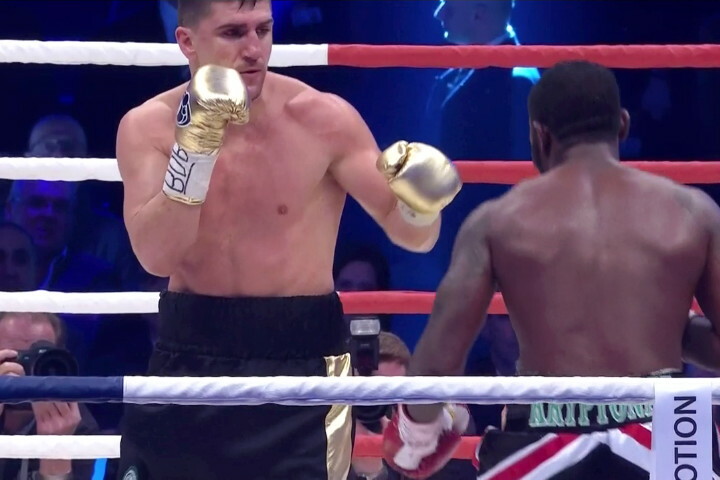 Huck may have to wait a while though, as the winner of the Glowacki-Cunningham fight must then face number-one contender Oleksandr Usyk, who is a superb talent who could possibly defeat either Glowacki or Cunningham. There is no shortage of excellent fights at cruiserweight today, that’s for sure. Glowacki-Huck II could be a real treat and who knows, maybe if “Kap’n’ Huck” can gain revenge, a rubber-match could be in store. Huck said that if he cannot get Glowacki next, he will look at other options and that he only wants to fight the best. Some fans might have worried Huck was close to finished after the defeat he suffered late last summer. We can rest assured this is not the case. Huck’s desire seems as strong as ever.